Any volatility in crude oil rates and the movement in the rupee against the US dollar is likely to impact investor sentiment, say analysts. Corporate earnings and macroeconomic data are expected to drive the stock markets in the coming week. While Tata Consultancy Services (TCS) is slated to kick off the corporate earnings season during the week, the government is due to release data on industrial activity and retail inflation. Investors will also watch developments relating to the US-China trade front, say analysts. Any volatility in crude oil rates and the movement in the rupee against the US dollar will also affect investor sentiment, they add. 1. Brokerage HDFC Securities expects the Nifty to continue in a range-bound trend in the near term. 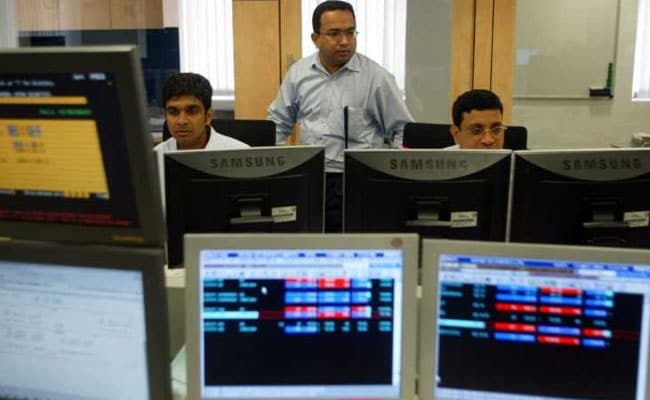 “A broader range-bound movement is likely to continue in Nifty next week, within a high low range of 10,850-10,650 levels,” it said in a note. 2. Tata Consultancy Services (TCS), the country's largest IT company, is scheduled to report its quarterly earnings for the April-June period on July 10. IT major Infosys, along with lenders such as Kotak Mahindra Bank and IndusInd Bank, will also post their Q1 earnings during the week. 3. "The IT sector earnings will be in focus, given its recent performance, INR weakness and the buoyant US economy," Devendra Nevgi, founder and principal partner, Delta Global Partners, told news agency IANS. 4. Investors will also watch out for Index of Industrial Production (IIP), Consumer Price Index (CPI) and trade data for cues. The Central Statistics Office (CSO) is slated to release IIP and CPI data on Thursday. 5. "CPI inflation and IIP data will be keenly watched... consensus expects June CPI rise to 5.2 per cent versus 4.87 per cent and May IIP is expected improve to 5.9 per cent versus 4.9 per cent," Vinod Nair, research head at Geojit Financial Services, told IANS. 6. Besides, the movement of Indian rupee against the US dollar and the direction of foreign fund flows will also set the course for the key indices. The rupee ended at 68.87 against the US currency on Friday. That marked a decline of 41 paise, or 0.6 per cent, in the rupee against the greenback this week. So far this year, the rupee has weakened nearly 8 per cent against the American currency. 7. The rupee may decline to 70 against the US dollar in the coming week, news agency Press Trust of India reported citing bankers. The Reserve Bank of India (RBI), however, will not be comfortable with the currency touching 70 and will defend the domestic currency, they added. 8. Foreign portfolio investors (FPIs) net sold equities worth Rs 2,737.04 crore this week, data from NSDL (National Securities Depository) shows. 9. On a weekly basis, the 50-scrip NSE benchmark index, Nifty, gained 58 points, or 0.5 per cent, to settle at 10,772. During the week, it traded in the range of 10,604-10,816. The BSE Sensex advanced 234 points, or 0.7 per cent, to finish at 35,657 for the week, after trading between 35,099 and 35,799. 10. “The upper area of 10,800-10,850 is going to be a crucial resistance to emerge an upside momentum in Nifty. At the same time, halt in lower levels buying could trigger weakness in the market," HDFC Securities added.